Gevrey-Chambertin is at the bold, masculine end of the red Burgundy spectrum. Gevreys are still complex, beautiful Pinot Noir, but they show a rugged richness that makes them meatier than most of their neighbors. Our producer in Gevrey takes his richness directive seriously. Gilbert Hammel of the Domaine des Varoilles farms 80+ year old vines in his extraordinary premier cru monopole in Gevrey-Chambertin. And if the richness from the vines, the winemaker, and the appellation weren’t enough, today’s offer is for his signature wine from 2015, one of the best in a generation. If you think of Burgundy as lacking intensity or richness, you’ve never had this wine. 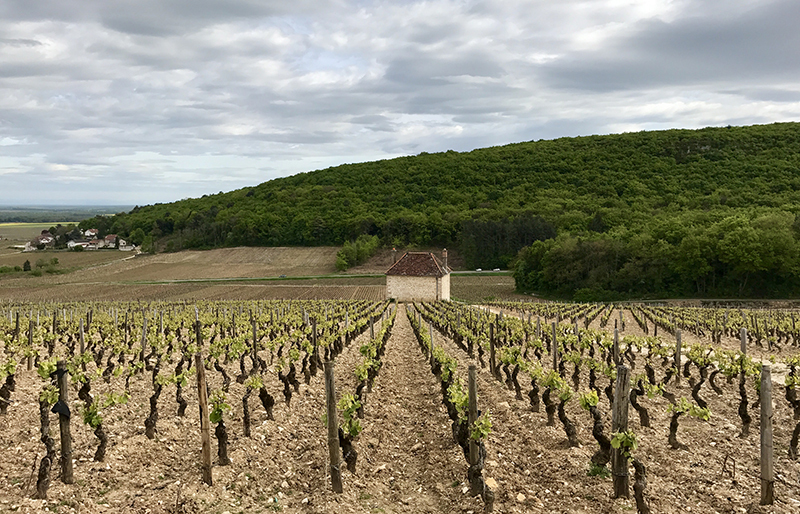 The 2015 Gevrey-Chambertin 1er cru “Clos des Varoilles” is a powerhouse of a red Burgundy. Grown in a 6 hectare vineyard (enormous by Burgundy standards), the wine shows grand-cru level intensity. Our notes show dark cassis fruit in the nose, along with licorice and gingerbread spices. In the mouth is enormous and very long — the tannins are bold and bursting, a sign that the wine will live for decades to come. This might not be the world’s subtlest red Burgundy, but it’s an extraordinary amount of wine distilled into a single bottle. And it’s awfully fun.